We prevailed in Kentucky with the highest fines ever levied against a coal company for violation of Clean Water Act laws. 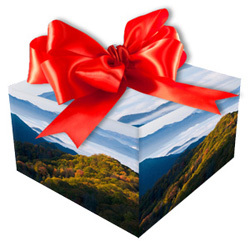 We generated statewide support that led to an historic first when a bill to ban mountaintop removal was introduced on the floor of the Senate in Tennessee, a mining state. We defeated what would have been the largest coal burning electric generation plant ever proposed in Virginia. We stopped Congressional attempts to weaken environmental regulations and restrict the U.S. Environmental Protection Agency's regulation of mercury and coal ash pollution. We kept mountaintop removal part of the dialog in campaigns across the nation and were on hand during the Democratic National Convention to keep the issue on the president's agenda. Our newly launched "No More Excuses" campaign asks President Obama to end mountaintop removal as part of his legacy in this new term. Together, we win because we are taking a stand for deeply held values like stewardship of our land, air and water, and ultimately, our future. None of this is possible without members like you. Thank you for supporting our work as generously as you ca. Is There a Coal Ash Pond Near You? 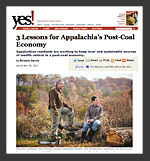 join Appalachian Voices or give a gift membership, and support our work for a cleaner energy future. "I love being part of an organization that is really and truly doing something every single day to save this land and its people." 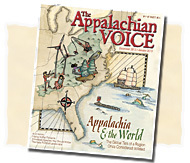 Discover our region’s global ties in the latest issue of The Appalachian Voice. Every Saturday through March: Features 20 road races and one trail race, distances vary from five to 13 miles; walkers welcome. Held hroughout Tennessee. Through Jan. 5: Volunteer to help track avian populations in your area. Jan. 1, 1 p.m.: Start 2013 with a moderately difficult 5-mile hike at the Yadkin River section of Pilot Mountain State Park. Pinnacle, N.C. Contact Joel Wooten before 9 p.m. at 336-679-8672. Jan. 31 - Feb. 2: Detailed training sessions focus on designing, funding, building, appraising, supporting and maintaining efficient, healthy and affordable housing and communities. $199. Morgantown, W.Va.